Digital Shadows, which provides cyber situational awareness to protect against cyber attacks, loss of intellectual property, and loss of brand and reputational integrity, today announced new capabilities that empower customers to achieve a greater “attacker’s eye view” of their organizations and the risks requiring immediate mitigation. These new features, which include a cybercrime capability, activity trending, enhanced and C-level reporting, as well as additional integrations, are part of Digital Shadows SearchLight™, a scalable data analysis platform that provides a complete view of an organization’s digital footprint and the profile of its attackers. Complemented with security analyst expertise, SearchLight continuously monitors more than 100 million data sources in 27 languages across the visible, deep and dark web, and includes easy integration to work with any existing workflows, tools and defenses. Cybercrime capability: Customers can now more easily discover direct cyber criminal threats and discussions about their organizations, including the trade of customer data, discussion of attack techniques and the latest developments in cybercriminal services. This also includes threat landscape intelligence from profiles and detailed analysis of online criminal actors, locations and tactics, techniques and procedures (TTPs). Extensive search: SearchLight already monitors more than 100 million data sources on the visible, deep and dark web, and with the new cybercrime capability, customers benefit from enhanced coverage of deep and dark web locations. This includes the most popular and latest criminal sites and access to a number of restricted forums and marketplaces. With the dark web consisting of far more than just Tor, Digital Shadows has also recently included I2P spidering in addition to spidering of Tor and criminal sites on the broader deep web for richer searching of potentially compromised or leaked data. Attacker map and activity trending: This new SearchLight portal feature allows customers to view the most active groups, campaigns and events analyzed by our intelligence teams within the last month. Users can view this trending data as an interactive world map of the most active geographies within the portal or export the information into easily shared reports. Flexible reporting: Now, customers have even more flexible and customizable reporting options, either generating them within the SearchLight portal or scheduling them for delivery as email reports or attachments that can be shared with non-registered users or C-level executives who require complete cyber situational awareness to inform critical business decisions. GitHub integration: Digital Shadows is constantly extending its coverage of technical leakage incidents, and this release adds a number of new sources. The most significant new addition, GitHub API integration, allows more extensive coverage of the site and a faster rate of data processing. As with all potential leakage incidents, clients can administer takedowns of sensitive content included on GitHub, as well as Pastebin and other sources, within the SearchLight portal. All of the new Digital Shadows SearchLight capabilities will be available in early October 2015. For more information, visit www.digitalshadows.com or request a demo. To learn more about cyber situational awareness, download our new white paper. Digital Shadows provides cyber situational awareness that helps organizations protect against cyber attacks, loss of intellectual property, and loss of brand and reputational integrity. Its flagship solution, Digital Shadows SearchLight™, is a scalable and easy-to-use data analysis platform that provides a holistic view of an organization’s digital footprint and the profile of its attackers. It is complemented with security analyst expertise to ensure extensive coverage, tailored intelligence and frictionless deployment. 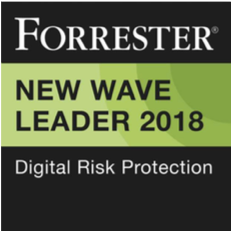 It continually monitors more than 100 million data sources in 27 languages across the visible, deep and dark web and other online sources to create an up-to-the minute view of an organization and the risks requiring mitigation. The company is jointly headquartered in London and San Francisco. 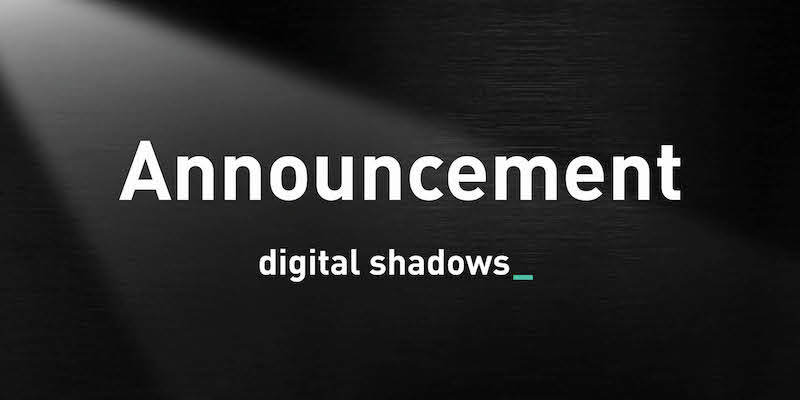 For more information, visit http://www.digitalshadows.com.